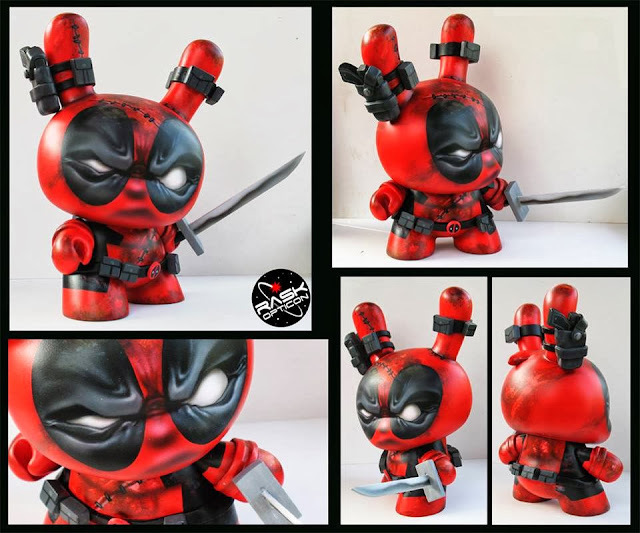 Urban Vinyl Daily is excited to announce that the second installment in their UVD Custom Series will launch at this year's Designer Con. This time around they have gathered 15 artists to create 90 custom 3" Dunnys for all to enjoy. But that's not all! One lucky customer will take home a special golden ticket custom 8" Dunny created by Ryan The Wheelbarrow. 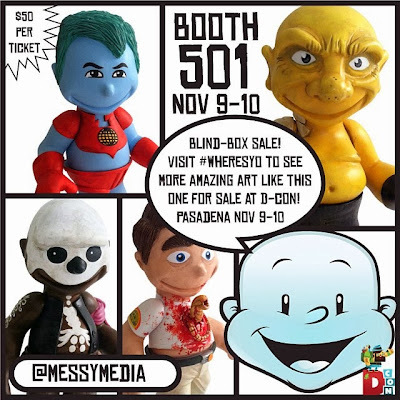 These figures will be sold blind box at booth #315 for just $85 each. Contributing artists include Mike Die, JFury, Jc Rivera, DeeTen, Ryan The Wheelbarrow, Josh Mayhem, Jeremiah Ketner, ValleyDweller, Task One, Shadoe Delgado, Jason Chalker, Nerviswr3k, Carson Catlin, Scott Kinnebrew, and Jay222. 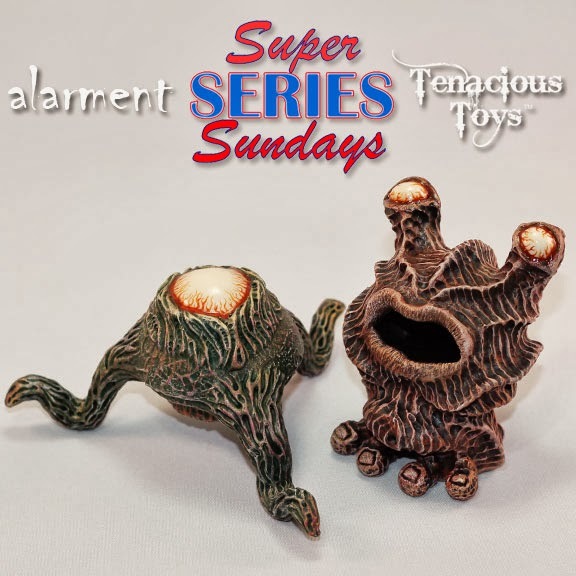 Look for previews and reveals of the figures to be coming throughout the next week! You can pick from the Zombie, Demon or Artist Special Blind Boxes! DCon: Furry Feline's Operation DesignerCon Skydive! 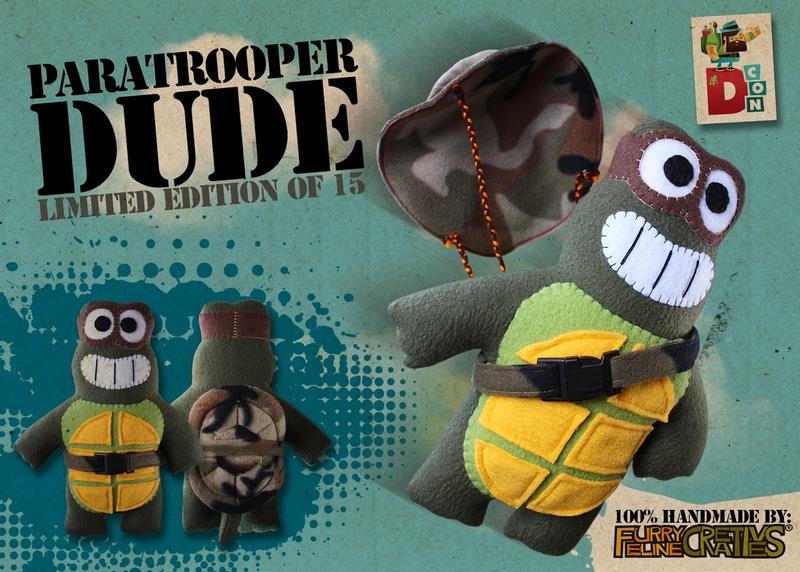 WHAT: "Paratrooper Dude" These brave soldiers measures 12" tall, 100% handmade and highly trained by Cheri Ong. The shell at the back deploys to become a parachute, with a release of the buckle. Only 15 have been deployed. Each cost $60. Signed and numbered tag. 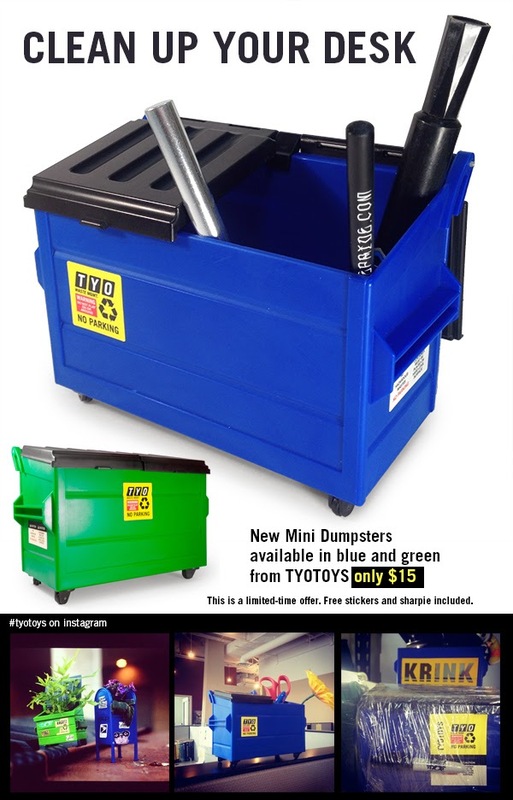 New plastic toy dumpsters from TYOTOYS have working wheels and dual opening lids. Plenty of room for all the crap on your desk, these front-loading dumpsters measure in at 6 inches wide and 5 inches tall. Each dumpster comes with TYO stickers and a mini sharpie. Current pricing is introductory and will not last. Click here to shop their site. 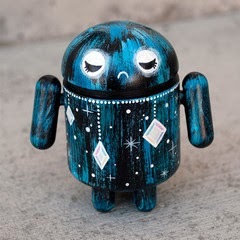 The "mofo" custom by Carson Catlin will be available at booth 601 during the Hustle and Hype show. 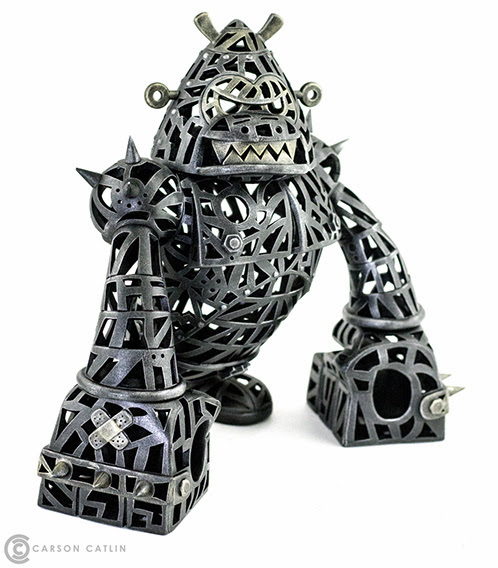 Standing tall at 9" tall, mofo is a fully reticulated "badass" toy from Kronk / Pobber. It will retail for $450 at the open of the show. 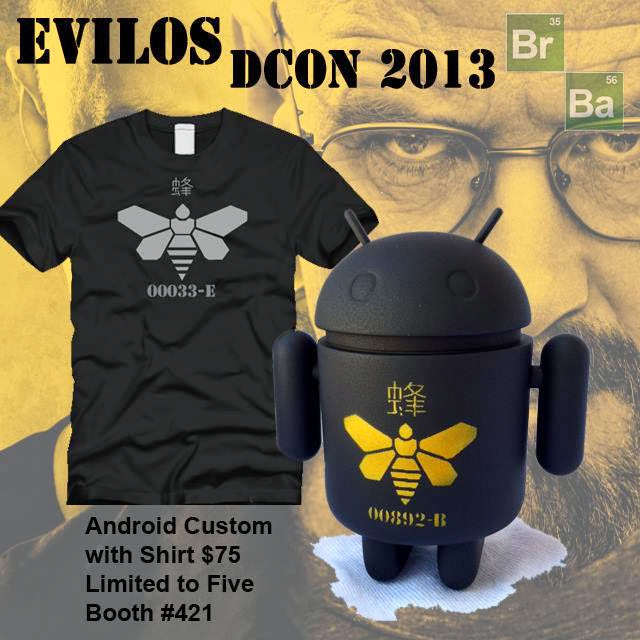 Evilos has created a very limited run of Breaking Bad themed custom Androids for Designer Con 2013 using Monster Kolor Paints. Limited to only Five, each custom will depict the very iconic Bee Logo from the Series. From the series the Golden Moth Chemical is a fictional industrial chemical manufacturing company based in Albuquerque and owned by Chinese businessman Duane Chow. Golden Moth Chemical was a chemical supplier for Gustavo Fring's organization, primarily supplying honey extract to Fring's superlab for the purpose of manufacturing methamphetamine. 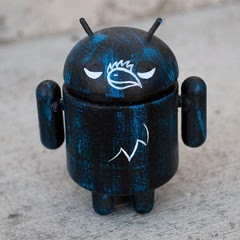 Each piece will be hand airbrushed and limited to 5 pieces, will also include a Free T-Shirt hand screened by Evilos. 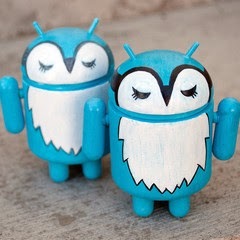 They will be $75 each shipped and will be sold at Designer Con via Evilos' Booth #421 First come, first served. 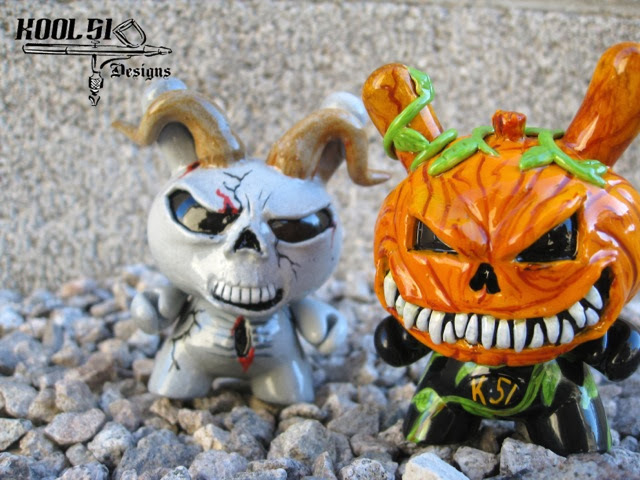 Mike "Nemo" Mendez announced custom Halloween editions of his Blood Drop resin figures. Hand painted by Nemo, these Zombie Blood Drops will available today at Suburban Vinyl for $50 each. 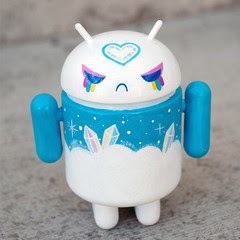 One goal for all artists in the Designer Toy world should be for more mainstream media exposure. 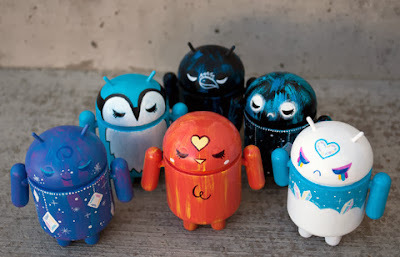 More exposure translates to a bigger available audience when art is available. 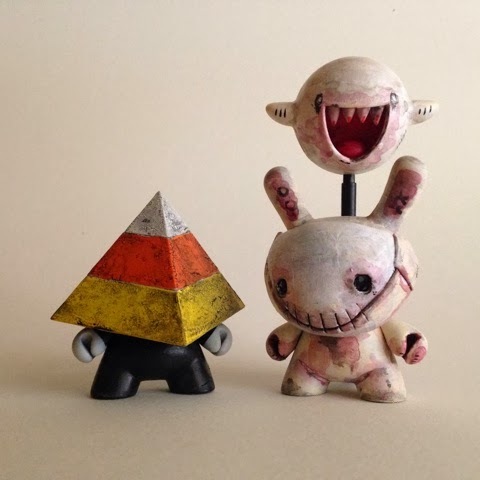 Jason Freeny has been interviewed by many mainstream media outlets over the years, all of whom are interested in his famous quarter cut anatomical designed customs and toys. 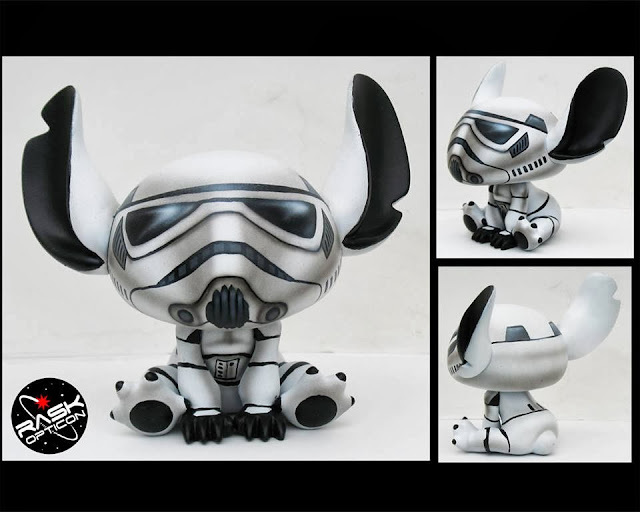 One of Jason's more recent collabs is with Luke Chueh's Target figure, which is going to have it's second colorway be available at the upcoming Designer Con in Southern California. Make sure to "Like" Jason's Facebook page, where you can see a lot of his step by step process. Also, be on the lookout for some information regarding Jason's upcoming show in Las Vegas. Introducing our newest exclusive figure: a special Tenacious Toys Blue colorway of Alex Pardee's B.U.N.N.Y.W.I.T.H. Affinity for Slave Women figure. This iteration of the ever-flexible B.U.N.N.Y.W.I.T.H. 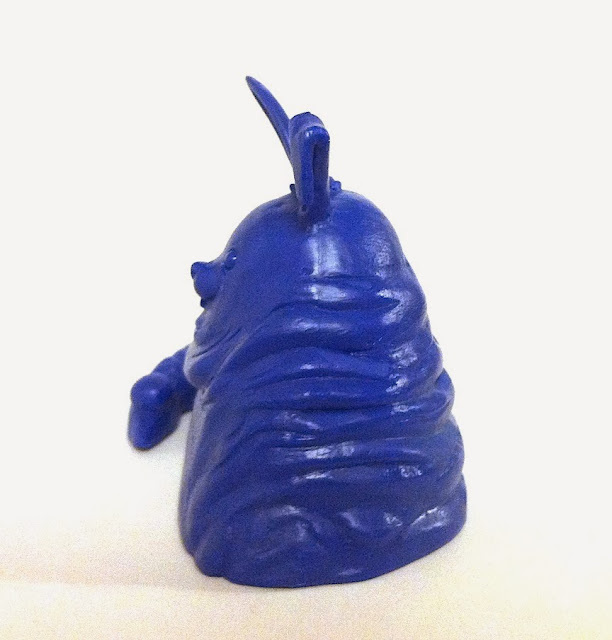 character is 4 inches long and limited to just 100 pieces in this colorway. 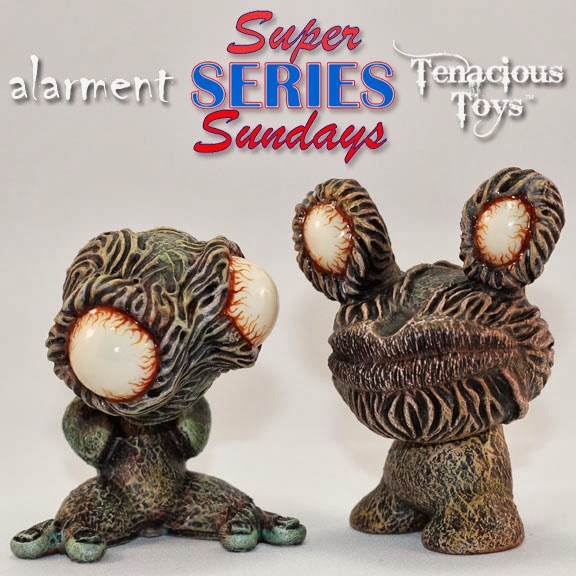 We'll be releasing them this Friday November 1st at 9AM EST in our Exclusives section (or the Just Arrived section, it'll be in both categories when it goes live) at $12 each. They come bagged with header card. 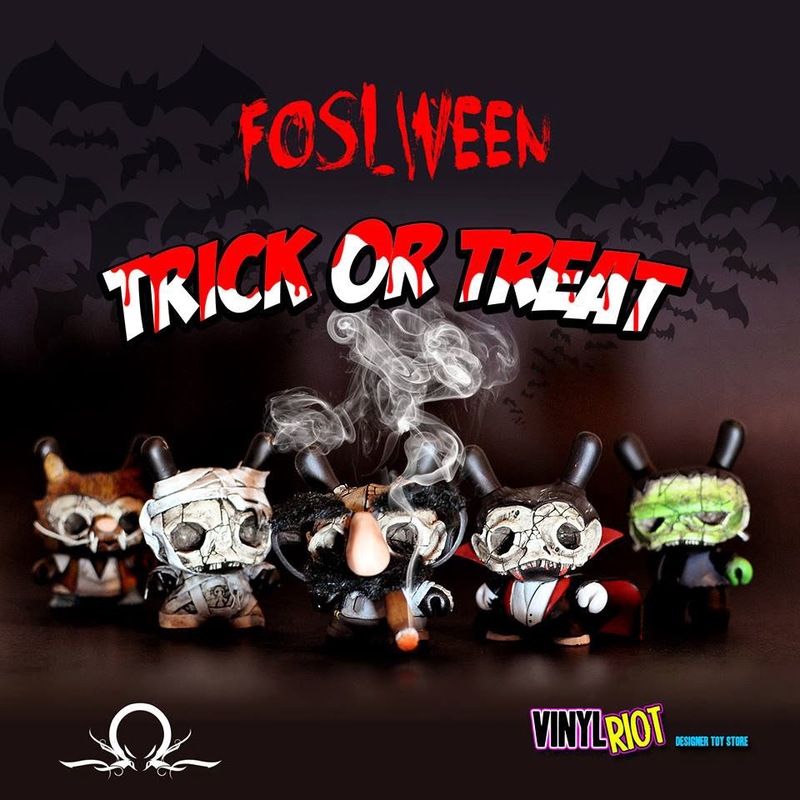 Komega and Vinyl RIot - Custom Dunny Series "Foslween: Trick or Treat"
Komega has teamed up with Vinyl Riot for this Halloween themed custom Dunny series. 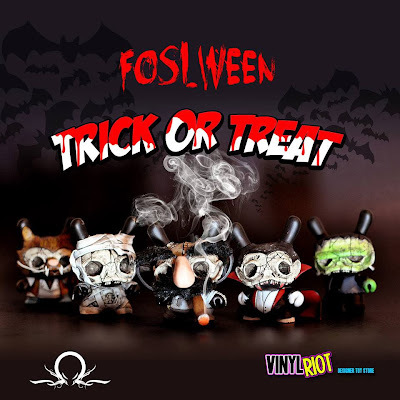 Foslween: Trick or Treat features five blind box figures, "Mugz Mummy", "Franky Stein", "Grouchy Marx", "Wooofie", and "Sir Drakky" which all look beautiful. 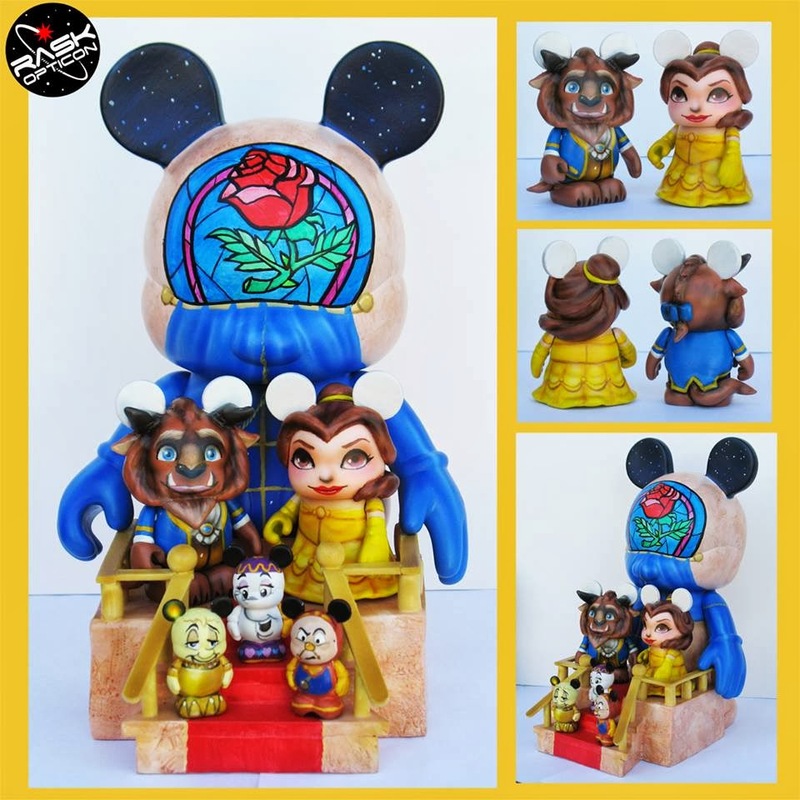 They will be available on the Vinyl Riot site Thursday, October 31st at 12Noon PST for only $85 a piece. We'll keep an eye out for more Exhibition pieces as they surface. I am a huge fan of this artist...some of his latest.MASTERPIECES! I like how the red detailing on each helmet connects the two as a complimentary pair, but they also look attractive on their own. 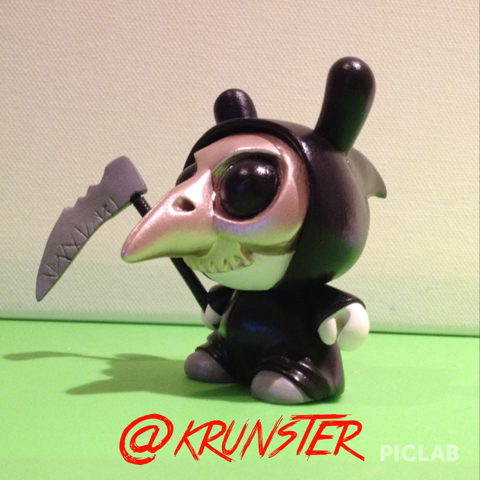 This is a 3 inch Dunny, called "Ghost"
What a great custom, it gives me a creepy feeling and it looks so real! YO! 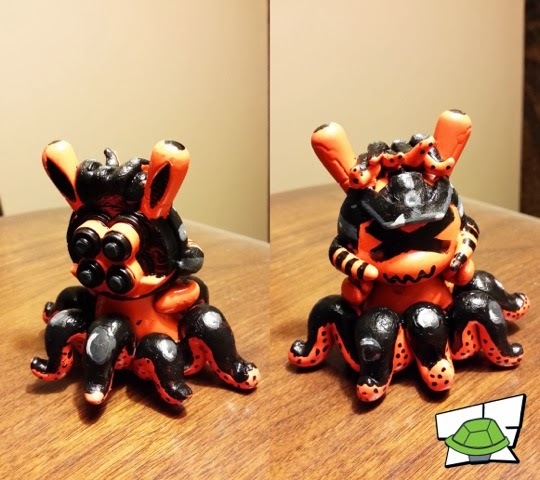 custom BLind-Box for D-con 2013!!! 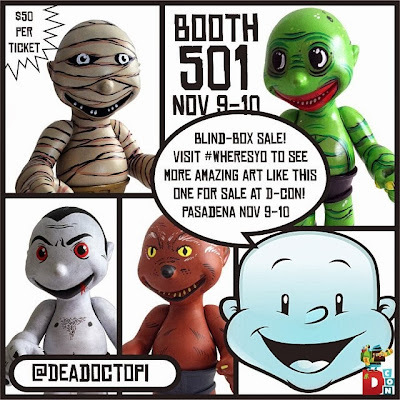 LittleHouse Designs have announced that at this years D-con, they will be releasing a blind box series of custom pieces on their new figure. 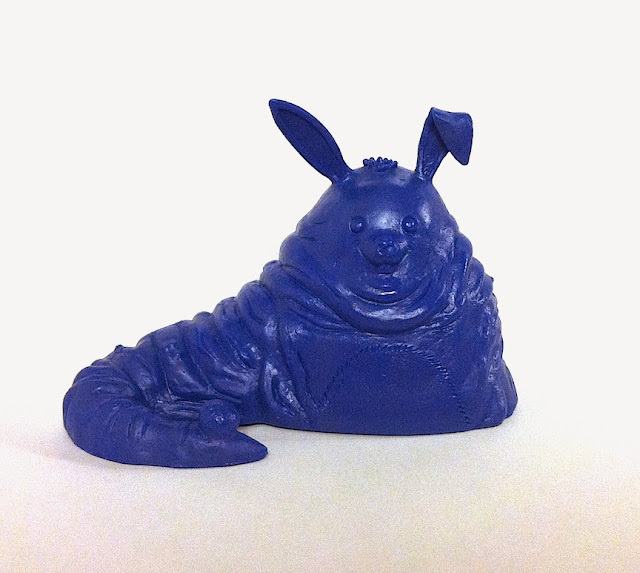 20 artists from around the world are participating, and the figures are only $50 a piece!!! 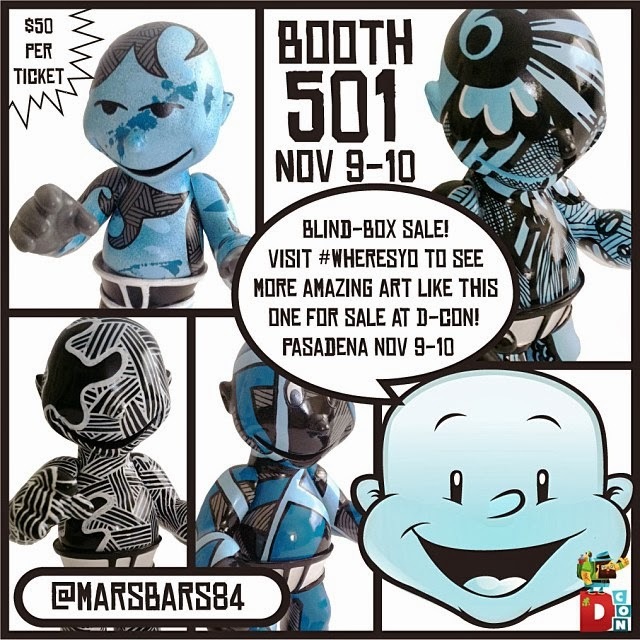 Artists include: Tanya Davis, Jenn and Tony Bot, Goreilla, AnthonyRespect, Marsbars84, Eric Sorrells, Kuztom51, ChainsawNick, MostlyHarmlessvinylcustoms, Theotherguy, Rottendaughter, MessyMedia, _s0l1d_, Flawtoys, Bio594, Zard Apuya, Fedzart, BriksDozen, PlayfulGorilla/DonChulo, Enkyskulls, Krunster77, WheelhouseCreative, Troy Martin, Konfusedink, Blazonbrikhaus, and Sekohone! 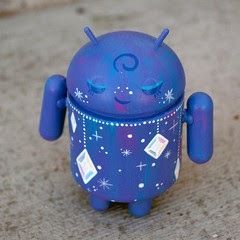 All customs will be on display and sold at random with the box having a corresponding number for the piece. You can find them at D-Con booth 501! They are also going to raffle off a custom piece on the 10th, for those that have followed thier IG (@LittleHouseDesigns) and re-posted ANY of their announcements... one re-post=one ticket, with no limit on re-post's OR tickets! So the more you re-post the more chances you have of winning... get re-posting!!! 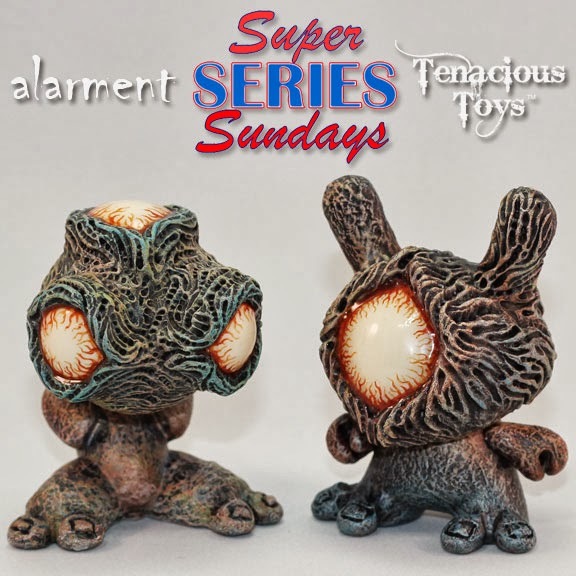 Dropping today at 6PM EST on our Super Series Sundays page: alarment's Creatures and Companions custom Dunny Series. All 11 sets are revealed here! 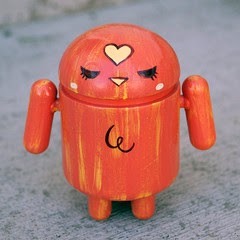 Sets are $130 each (comes with 2 custom figures and one painting).